Each year thousands of children, elderly people and others suffer serious slip and fall injuries resulting in lifelong physical problems or even death. Proving that the injury occurred due to negligence of the property owner is a difficult process, though not impossible. Were those parties negligent when the accident could have been prevented? …that a property owner should have recognized a potentially dangerous situation and removed it. …that a property owner caused a hazardous condition by leaving an obstacle in the pathway and it was reasonably foreseeable that someone could have tripped and fallen. …that a property owner was aware of a dangerous situation such as a leak or broken step but did nothing to fix the problem. Proving that the property owner “should have known” and could have “reasonably” taken care of the situation can be tricky. 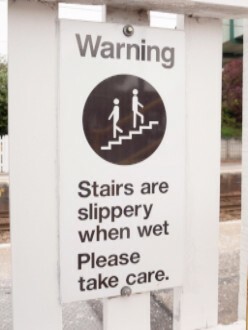 Consulting a premises liability attorney who has previously won slip and fall cases would be an excellent choice.